No way, a meatless Lentil Sloppy Joe, impossible! It’s true, and it’s delicious. We eat meatless meals in our diet simply because the body doesn’t need meat every single day so we opt for alternatives like lentils. In our house you will normally find red and green lentils that we typically pick up at Food Basics or our local Indian shop. One of our favourite side dishes is simple red lentils and rice which we serve with fish as a Good Friday Meal. When I came up with my version of the Sloppy Joe it quickly became a hit in our house and many of our fans enjoy it as well. We were tired of spending money buying convenience spice packets or pre-made cans to make the everyday frugal comfort foods that most families enjoy. When you read the ingredients on the packets it’s obvious to see that you too can easily create a recipe similar to the original if you use your imagination. The Meatless Sloppy Lentil Joe is simply a switch up using lentils instead of ground mince. I used my original Sloppy Joe Recipe to create my Meatless Lentil Sloppy Joe recipe but I found that I needed to add more spices, ketchup and vinegar to get the taste just right. You may find you will adjust flavours as well. Sure you will miss the fat taste from the meat but the flavours and texture of the lentils compensate for that. We served our Meatless Lentil Sloppy Joe on a homemade bap (bun) topped with plain yogurt (or sour-cream) and old cheddar cheese with a side of tangy dill pickles. 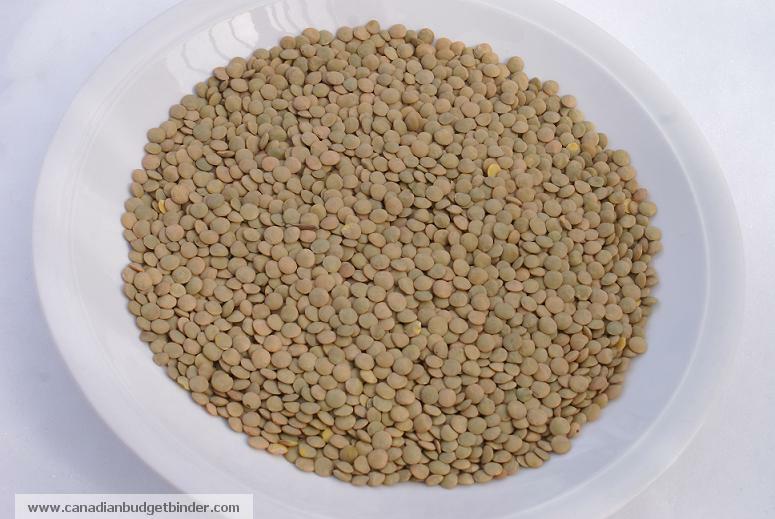 A lentil is a pulse bean” an annual plant in the legume family that grows in pods with 2 lens-shaped seeds in each. Friends of ours who originate from India eat plenty of lentils as they don’t eat meat and in fact it’s a staple in their diet. Lentils are a great source of protein but without the costs of meat. Thinking back when I did the welfare food challenge in 2012 my friend Steve picked up a bag of lentils and I picked up black beans. If I could go back I would have done the same as Steve as that was a cheap way of adding protein to the diet. I grew up around the Indian cuisine and had many friends who were of the Indian culture so I was exposed to lentils from an early age eating over at their homes for dinner. I also went on a holiday to India where Indian cuisine was brought to life through smell, flavour and textures. I have a tendency to throw myself out there to learn about culture and cuisine when travelling because food is what brings people together. Lentils come in various sizes and colours such as green, brown,red, black, yellow and many others which I have had the liberty of trying in various meals. Lentils are used in cuisines all over the world and one thing we learned from our friend was that you can sprout lentils. In fact last time we were at her house she showed us her sprouts, amazing little things and we learned about black chickpeas. She puts them in a container with a bit of water, covers them and lets them sprout as she said it changes the texture and according to wikipedia it changes the nutritional content adding “essential amino acids” and “30% of their value comes from protein and have the third highest value in protein next to the soybean and hemp“. I’m not a lentil pro so the research I’m doing today is not only educating myself but I hope that you learn something about the lentil and use it in your meals. Lentils also contain “fibre, B1, folate and minerals” so you can’t go wrong when you choose lentils as part of your diet. It’s taken me some time to get the wife into lentils but now she can’t get enough of them and always so inquisitive asking for recipes from our friend. When we visit our friend the smell of cumin and turmeric permeates the house and it’s just lovely, reminds me of real Indian cuisine. Typically our friend will use the pressure cooker (we can be sure to hear the swish of steam when we visit sometimes we think it sounds like a science experiment in the kitchen) to cook them faster (we don’t have one) or she puts her lentils or any dry bean in the slow cooker and lets them cook on low all day until they are done. We thought that was a brilliant idea as we had never thought of it. She then saute’s cumin seeds in oil then adds onion, garlic, green chili, coriander, turmeric, chopped tomato then adds in the lentils. She explains to us that this is the equivalent of a stew which they call Dal and she serves it with a homemade Naan bread or a flat bread she makes with flour and water. I’ve made Dal on many occasions and tried different versions of Dal in India and the UK as I just love it. We don’t prefer the hot chilies and we use cumin spice instead of seed but it seems it is traditional. We also make our own bread a simple tortilla recipe which is essentially the same thing or we serve it with Basmati rice. Next time I make the Dal I will post the recipe on the blog for all of you. I’m sure you will love it if you like lentils. Add your green lentils to a medium pot filled with water and boil until just tender. Don’t over-cook them or they will be mushy. Drain them under cold water. 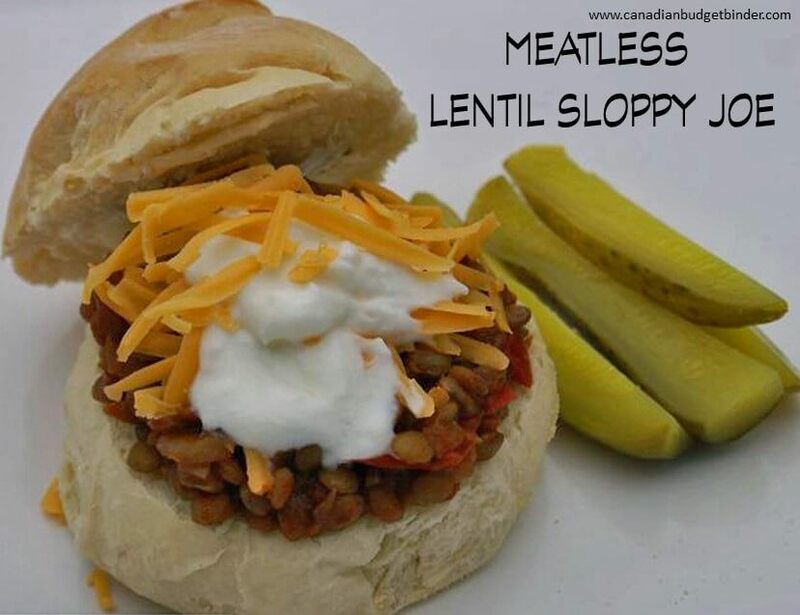 What other ways do you enjoy serving your Meatless Lentil Sloppy Joe? If you are looking for a great place to order your spices check out SpicesForLess.com . Although I do love green lentils ….. give the brown lentils a try (love these) I have found they are a great meal substitue in anything. I’ve just got my hubby into black beans so I won’t push my luck just yet. I will make these for myself, no problem. Thank you so much for this and the lentil shepards pie recipes. These are the BEST sloppy joes I have ever eaten…they get rave reviews from family & friends – even the meat-eaters!! 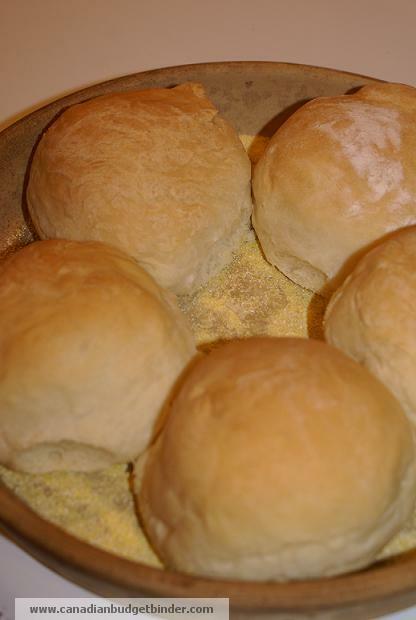 I always have to make a double batch…IF there is any leftover, I use as the base for a shepherd’s pie…these are SO good!! I love the sound of this recipe as I love Indian foods. Must try this out on my grands with autism, both will eat chili etc. My grandson thinks the larger beans are meatballs LOL.. Need frugal recipes when I suddenly have them for dinner, happens at least twice a week LOL. This looks delicious, Mr. CBB. Can’t wait to try it! The kids are still asking for Spinach and Ricotta Fettucine on a regular basis, by the way. :-). Also, you’ve inspired me to do a meatless post for my “Before and After” series. We’ll see what I can come up with! That should be interesting! I love the before and after post! I’ve been wanting to cook with lentils more because I know they are so good for you! Lentil soup is one of my favorites! So what happened with the new website? Not happening? It’s my job to like Sloppy Joes. When something is named after you , you tend to feel the pressure. This recipe looks awesome. Bloody hell mate, that just made my morning!! It’s a great alternative to eating meat. We don’t need to eat as much as we do. Next is lentil Shepard’s pie…. your middle name isn’t shepherd is it? lol… Have a good one! I just had sloppy joes for lunch today. It didn’t look as good as yours, but it was tasty! These look delicious! We’re big fans of green lentils, but less so of red, and have been trying to figure out something to make with our remaining stockpile. This is it! I’ve already added it to the menu for April. I suppose you could use the green lentils, why not! I’m going to try the lentil shephards pie… will see if I can make magic happen! Be on the look out for that in a Sunday Recipe. Whenever I try to make my own ingredients, it never turns out right. Kind of like some people have an ear for music or some people can taste something and know how to make it. I don’t have either of those genes. That’s why I have good sites like CBB that can help me along the way! It’s all trial and error, trust me but it’s fun in the process. Go for it, we love it! Let me know what you think. It’s different but good! Oh this looks so good!!! I’ll have to share with my daughter as she is mostly vegetarian,(since our grandson was born she will eat some chicken but that’s it) so I’m always looking for recipes to feed her when she is here….. Can you freeze cooked lentils??? I just had the thought of cooking a big batch in the slow cooker and scooping out some for a meal here and there….. I was thinking of doing a lentil shepards pie next … I don’t know about freezing them as we only make enough for a couple of meals. Let me know what she thinks, we love these. I freeze lentil soup and my lentil hamburger casserole all the time and there’s no change in flavor or texture that I’ve noticed. That’s great news Sue. Making a batch of this and freezing it would make dinner time even quicker for most people. I like that these days. I love lentils! My favourites are red and green, they make for a great hearty base to a meatless meal. I’m always looking for new and interesting ways to prepare them, so I’m going to bookmark this post and try this out later. Thanks for the recipe! You’re welcome Jordann! Let me know what you think.